Most retailers and brands recognize the value of user-generated content and are using the power of social to facilitate transactions on their websites. 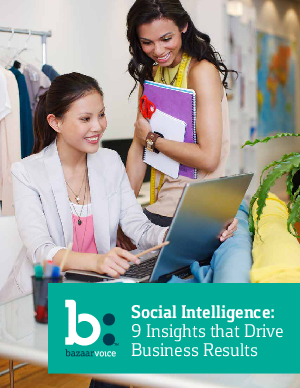 Many of these same companies, however, are not realizing the most valuable potential of this content: social intelligence. This white paper provides nine specific insights in these three areas that you can put into action today to improve your company’s bottom line and provide strategic business advantage in the marketplace.